Denmark is in general a rather flat area. 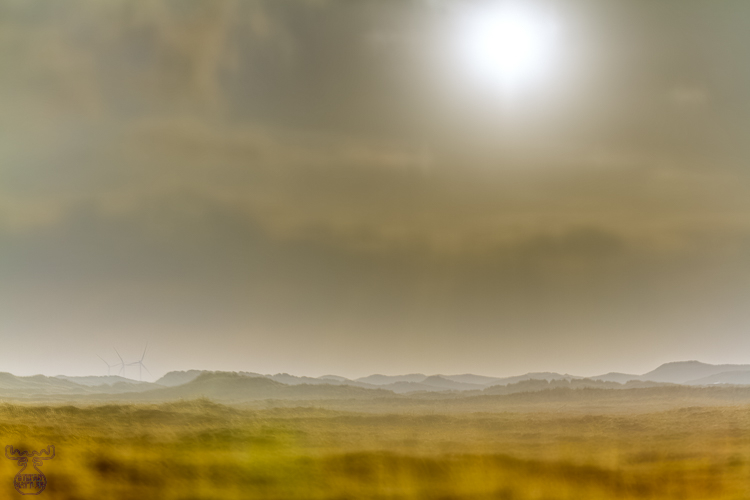 The highest natural elevations at the North Sea coast are the dunes. No really high, but a some places they strive to form a mountain range appearance.